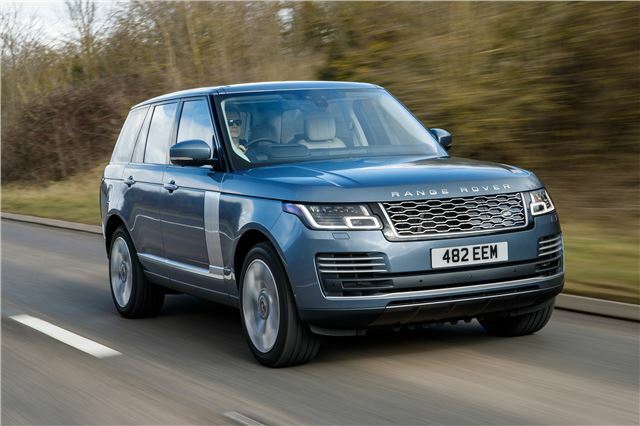 Long favoured by the landed wealthy, or upwardly mobile suburbanites, the Range Rover gets all touchy-feely with its new P400e plug-in hybrid. Outwardly it’s changed little, Land Rover saying the design has ‘evolved’, but you’ll be looking hard to spot the changes. That’s not such a bad thing, as the Range Rover’s still a handsome, imposing and stately machine - that a large part of its sizeable appeal. Inside there’s some more luxury and connectivity, with the twin-screen set-up of its Velar underling adopted in the flagship’s cabin. It all feels gloriously indulgent, unless you’re sat in the back, where there’s not quite as much room as you might imagine. If you’re going to be sat back there often, it’s worth spending the extra on the long-wheelbase model. All familiar Range Rover, then, the big story here being the new powertrain. Behind the front grille there’s a plug, which charges the battery for the hybrid system. Fully charged, in EV mode, Land Rover claims a range of up to 31 miles on electricity alone. It will run on battery power right up to and beyond legal motorway speeds in the UK, but do that and it's soon be a case of range over, electrically at least, requiring a fast 2hr45 charge via a 32 amp wall box, or 7hrs30 from a 10 amp home charge. Realistically then, it’s at its best around town in EV mode, where the 116PS electric motor uses its immediate torque to haul this hefty 2.5 tonne slice of luxury along reasonably convincingly and in hushed silence. The real sport with the P400e is that other one so enjoyed by the wealthy. Dodging tax. The official figures, NEDC ones, state a combined fuel economy figure of 101mpg and CO2 emissions of 64k/gm, which, like all official figures are absolute bunkum outside the laboratory. We saw no better than mid-20s on the trip computer over a lengthy route of mixed driving, which does somewhat underline that, but the P400e did at least manage it with the minimum amount of fuss, which is contrary to many of its hybrid rivals. Indeed, there’s only really a pair of drive modes for the hybrid system, the EV one, or auto hybrid. Choose the latter and the batteries and electric motor are joined by a 300PS 2.0-litre Ingenium petrol engine, which alone is good for 300PS. Such is the way hybrids are calculated the combined output of electricity and fuel is 404PS, backed by 640Nm of twist, all of which allows the P400e to reach 62mph in 6.8 seconds and a maximum speed of 137mph. Do that and the battery won’t last very long, though. You can hold onto the battery’s charge if you want to glide up to your country manor quietly, or drive through a low emission zone on battery power alone. Doing so does require some finger swiping and tapping on the Range Rover’s new Touch Pro Duo screens. That interface is visually impressive, so long as you can see it without reflections. Operationally it’s a little clunky, Land Rover still playing catch-up with its competition here. There’s no opportunity to push charge to the hybrid’s battery either, other than via the usual regeneration, largely due to the fact it would probably result in fuel consumption that would make the Supercharged V8 model look parsimonious in comparison. What is impressive with the hybrid powertrain is its integration. The switch between pure EV and hybrid is seamless, there being no clunks or tell tale knocks from the transmission when doing so. That 2.0-litre petrol Ingenium motor does a fine job too, indeed, with an electric motor helping, it’s arguably its most impressive installation in a Jaguar Land Rover product to date. Only at higher revs does it betray its four-cylinder status, the blare from under the bonnet unbecoming in a Range Rover, but avoidable if you’re in a little bit less of a hurry. If you are, you’ll want a Range Rover Sport, as the P400e isn’t a car that’s about hustling. No, its appeal is in its dignified pace and here the P400e does a decent job. The steering might be slow and vague, and the suspension patters a bit thanks to the additional weight it’s dealing with, but overall it’s not overly compromised by its powertrain, nor is it defined by it. Yes the brake pedal feels a bit dead in its response and there’s the odd moment of hesitation when pulling away, but the battery doesn’t do that usual PHEV trick of depleting all its power in the first few miles and leaving you hauling it around on petrol power alone for the rest of the journey. In fact, it was only at the end of a lengthy 130 mile drive that the battery was so depleted we found ourselves looking for a charge point - which is commendable.